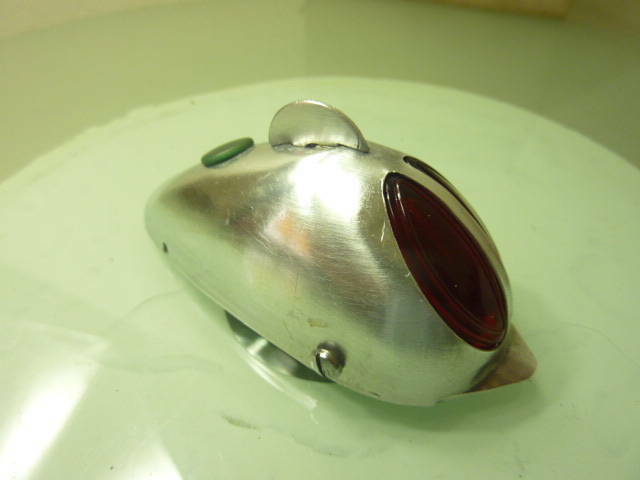 At a recent swap meet, a seller brought this Alvin Drysdale Velox bike. The graphics awesome, and the seller said the bike was original condition, other than the handlebar wrap and tires. It has a nice Titan adjustable stem, Bayliss & Wiley hubs, Stronglight headset, Lam(French) aluminum front brake and lever, and an unmarked chrome cottered crankset. 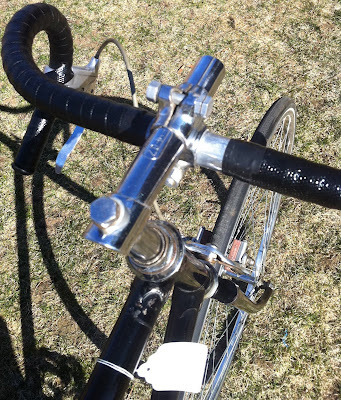 The annual Monson, MA bicycle swap meet once again was a good indicator that the spring swap meet season is underway. Held at the towns historic Memorial Hall, the weather once again cooperated with us. 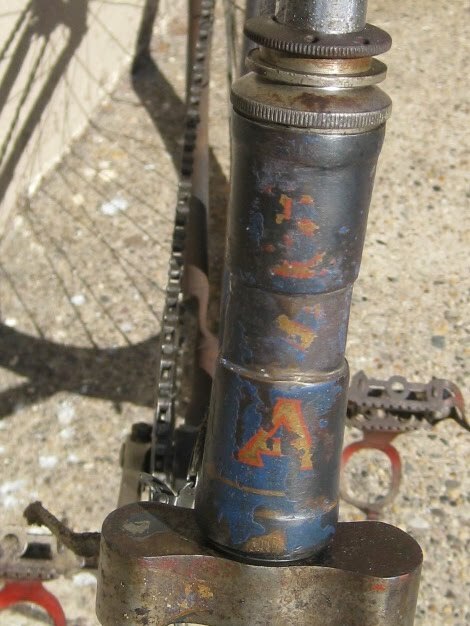 1973 Schwinn Paramount track bike with Cinelli adjustable stem. Muscle bikes are always in attendance at this swap. Nice Drag Stripper. Recently I was rereading a testimonial about the 1999 Paris-Brest-Paris in an issue of On The Wheel written by Larry Strung and fantasizing about my ride this summer. It is vivid account, with many of the same worries and observations I had 4 years ago before trying to ride PBP. 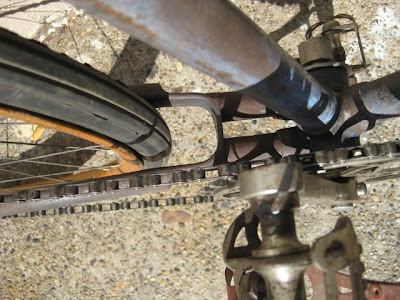 Will I ride too hard in the beginning, and fall apart on my way back from Brest? Who would I ride with? How long should I sleep? What bike to ride? I quickly looked on the internet, and I was surprised that the article -"When is a race not a race? Paris-Brest-Paris 1999"- is not available online. 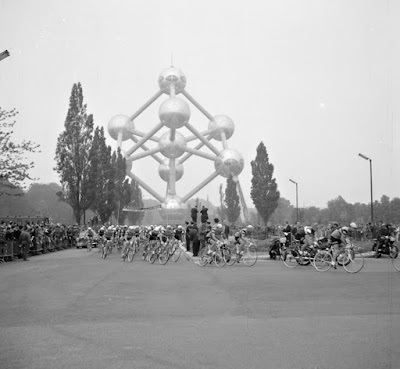 If you are thinking about riding PBP, or just wonder what it is like, I recommend tracking it down. 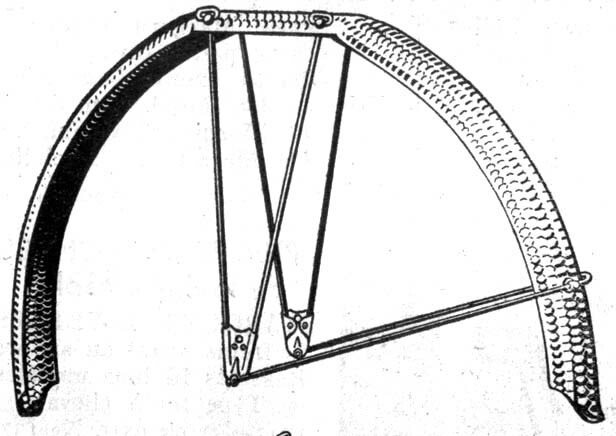 It is in issue #12 of One the Wheel(out of print). 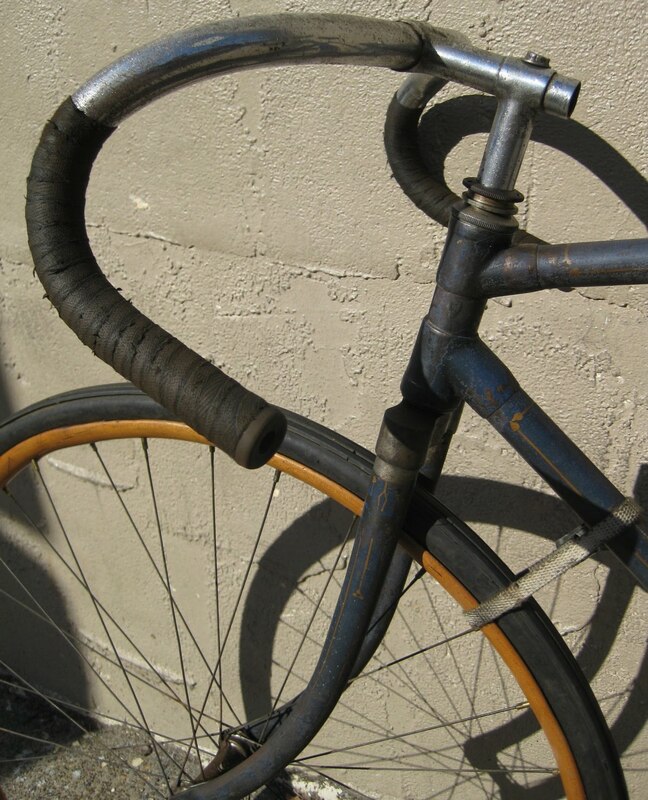 Larry rode an older Peugeot, where as his friends rode fancy Litespeeds. Four years ago, I did all the brevetes in the series and took to France a 1968 Jack Taylor Super Tourist. I was shocked at the disproportionate amount of modern race bikes present in Saint-Quentin-en-Yvelines, the start and finishing town of PBP. 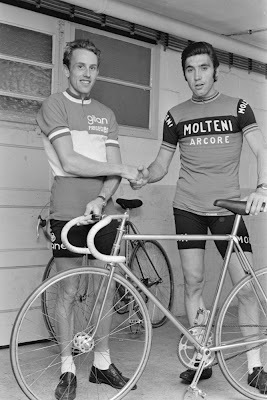 Along with Joel Metz, also on a Jack Taylor, it would be fair to say, we were in the minority riding old steel bikes, probably in the 1 percentile. This year, I have been doing all of my riding on an early 1980s Eddy Merckx, not something I would have ever imagined doing more than 70-80 miles at a time, yet I have done two 200kms on it and plan to do a 300km in a week on it. I did install 700x28c tires on it, but it is far from ideal, as there is no provisions to install fenders or lights. 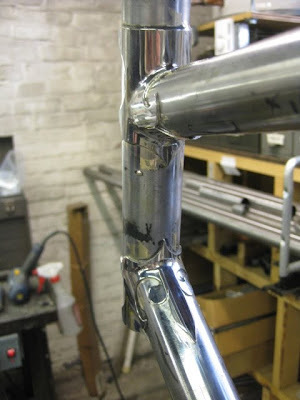 I put up with inconvenience because I am waiting for my custom frame to being built by Simon Firth, former head framebuilder at Bilenky Cycles, that has started to build his own bikes. I will own the first Hanford, named after the small town in the United Kingdom Simon is from. It will have a mix of modern and older parts, and will be the first new bike I have ever bought. Im excited. Our good friends at Tandems East is having a Tandem Expo this weekend in Southern New Jersey. They say - "Tandems East is once again hosting the popular seminars designed to enhance your riding experience. Several special guest speakers are scheduled to speak on various topics of interest to Tandem riders. " 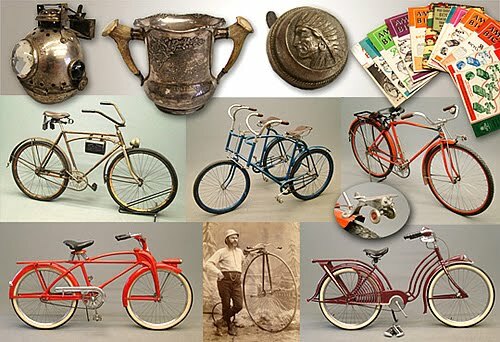 The annual Copake Auctions bicycle catalog is now visible online for your perusing. 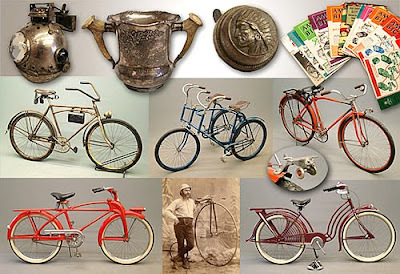 It is the premier bicycle auction in the USA, and brings collectors to the small town in upstate New York every spring to it's swap meet and auction of bicycles and bicycle ephemera. 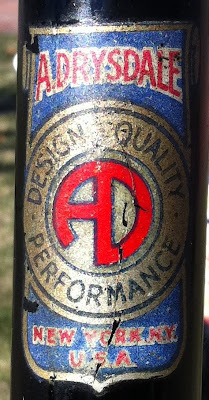 It's emphasis is on older bikes, such as highwheelers, pneumatic safeties and other Wheelman related bikes, but they do not have a prejudice- all types of bikes go through the auction, there is always a bunch of rare balloon tire bikes and even some lightweights including a nice Alex Singer a couple years ago. 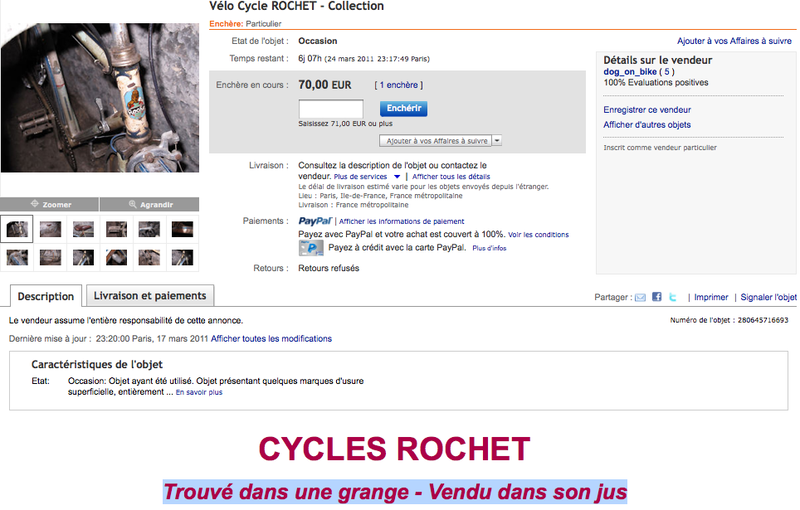 Click here to get to the bicycle catalog. Even though I dont have a bike for this light, I felt I couldn't pass up on the light. 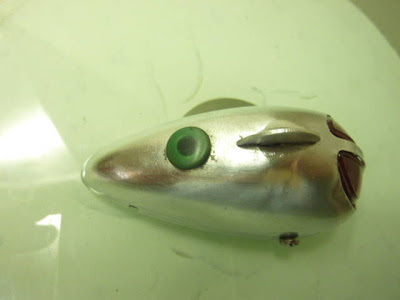 It is amazing, with the little fin and the alien-look the two lenses have. I guess I will have to build a bike around it. 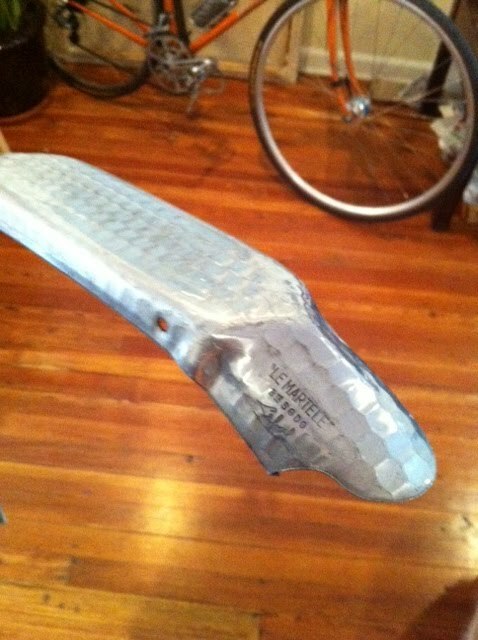 I love the updates I get about my bike. look at this, it is starting to look awesome! 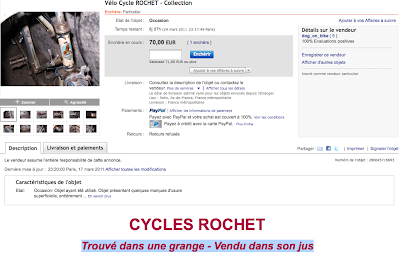 Funny listing on French Ebay, an later Rochet bicycle that was recently located in a barn. 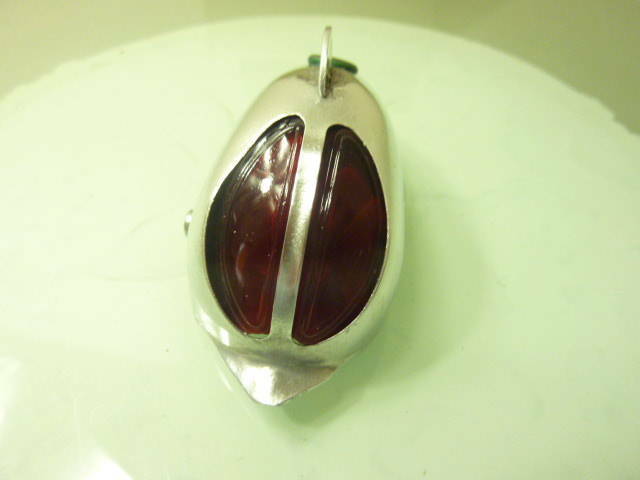 the description translates to "Found in a barn - Sold in its own juice." 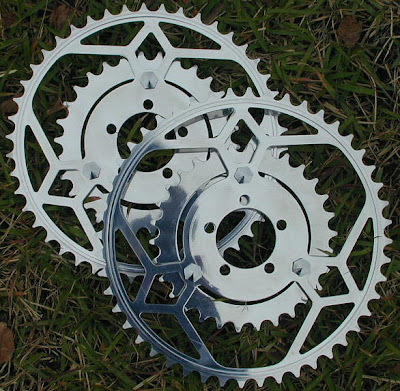 This is not for my bike frame being built but I bought these 6 or 7 years ago with the idea that I would build up a 650b bicycle and use them. I never did. 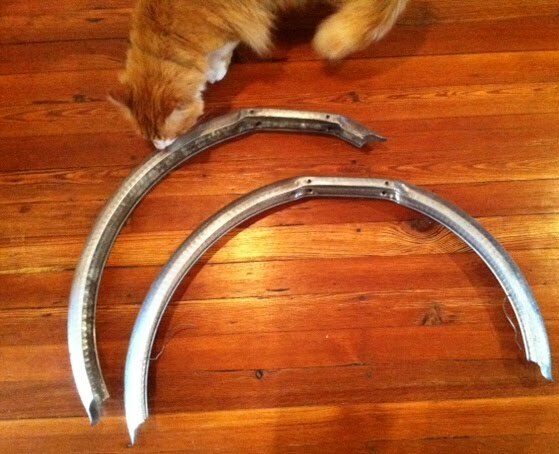 The are interesting as the stays also act as the point to attach panniers to the fenders. Novel idea. I am a little surprised I have not seen any other variations of them, just the ones made by Lefol. A fun, fast looking Paris-brest-Paris ride, from the 1980s. nice looking bike. Not sure what it was but the old blue paint was nice. Interesting upright stem. 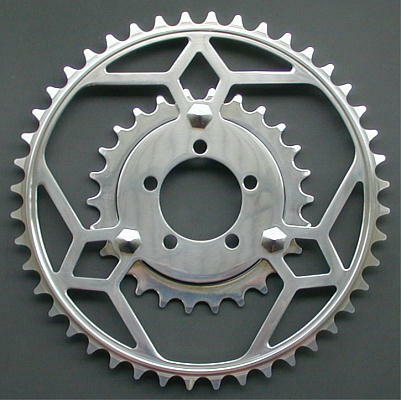 wood wheel, and BSA chainring. 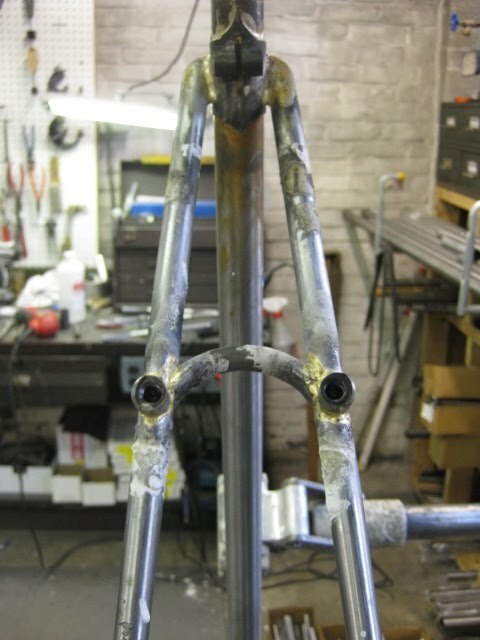 My frame is jigged up, not brazed together, but more of a mock-up to see how everything fits together. It is really starting to look beautiful and I am getting excited. I talked with my painter yesterday, and I can't wait! 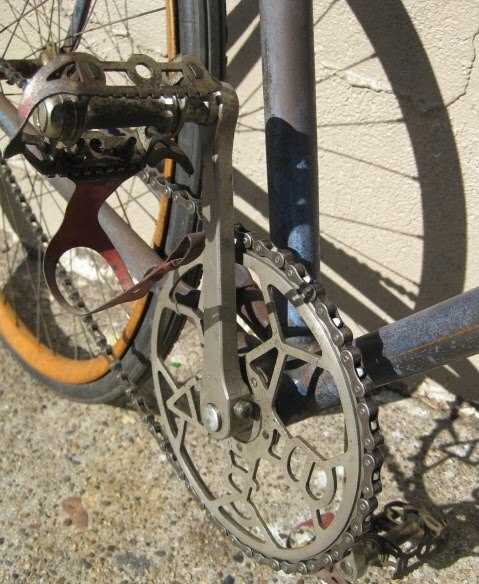 I thought I had thought of everything when it came to planning out my custom bike Simon Firth is building me but one collector friend reminded me how interesting older chainrings were. I have always loved these Stronglight Touriste chainrings were, and we have a set here that I have always coveted. 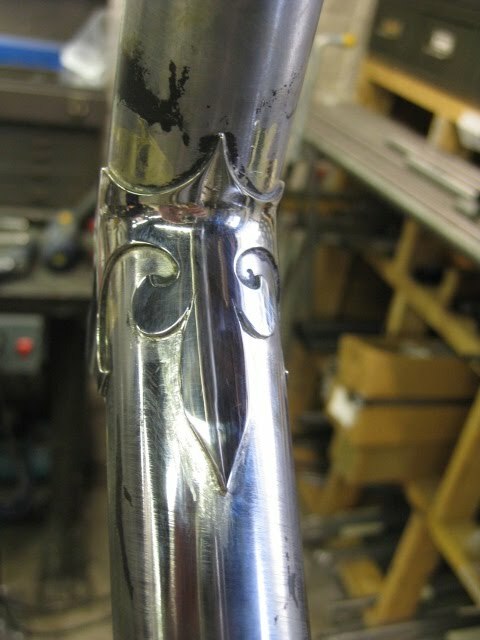 So, I think I am going to get a set reproduced, for my new bike. The photographs below are of reproductions made in Japan, with the current price of $550 for a set! Yikes! 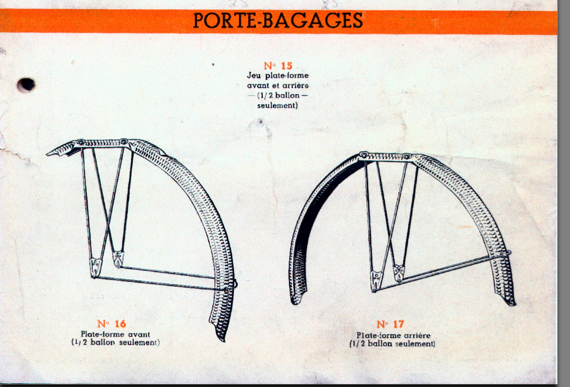 A funny little news reel about 1948 Paris-Brest-Paris, back when it was still officially a race. L'EROICA (UK) from Edouardi Sepulchro on Vimeo. 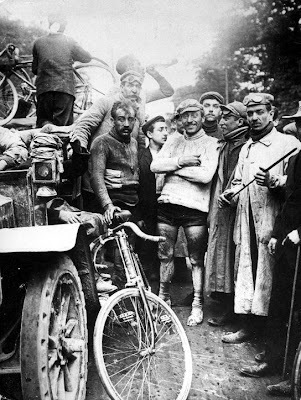 Organized from 1997, L’Eroica is a “period” cycle rally held through a course which traverses mainly gravel roads. Giancarlo Brocci conceived this event initially to save the “strade bianche” or white roads in Tuscany. He also wished to re-establish the ambience and efforts of a by gone cycling era. 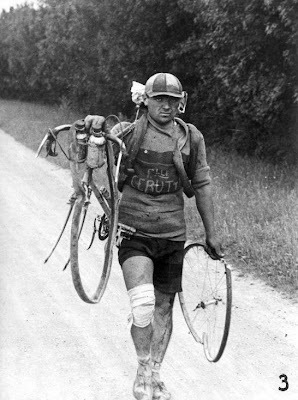 So he conceived L’Eroica as a race with four different courses beginning and ending at Gaiole in Chianti. a couple websites if you are interested in participating. 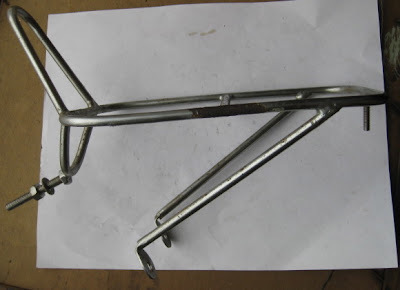 Whoa, a nice unused Jack Taylor front rack. Tubular steel. 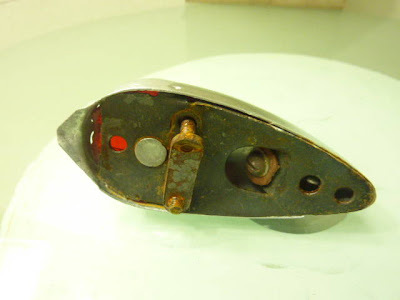 Some rust, but never installed, perfect for a period restoration. The two first photographs are of the rack, and the third picture is of 1961 Jack Taylor with the original racks installed. These were all taken from the Dutch National Archives on Flickr, there is a nice set of pictures there.